Mobile gaming fanatics are suddenly catching rare, imaginary creatures in a world where almost nothing seems rare and it is often too real. Unless you’ve been hiding under a rock, you know that the Pokémon Go mobile virtual reality game has caused throngs of people to wander about staring at their phones, taking steps into the real world as never before. GameStop is the first to report results, revealing that Gamestops with Pokestops (the game’s refueling points) saw a 100% increase in sales during the first week. How can marketers take advantage of Pokémon’s popularity? Market specials to gamers. Receive a product discount if you show your captured Pokémon in the Pokémon Go app. In app advertising. Did you know that according to eMarketer, 30% of all mobile content is inside games? Shouldn’t marketers be investigating ways to do more ads within applications, where there is comparatively little competition compared to search? Monetizing the game environment. Businesses with the good fortune to be Pokestops are promoting this to gamers and customers. Restaurants, such as New York’s L’inizio Pizza Bar, have seen a 75% jump in sales after purchasing “lures” to attract more Pokémon creatures (and therefore gamers) to their business. In fact, this tactic has been so popular that Yelp as added a Pokémon Go filter to its search engine so people can patronize businesses with Pokestops. Brand sponsorships. In Japan, McDonald’s has agreed to pay for Pokémon sponsorships for its 3000 stores, which will all become gymnasiums. These are game battlegrounds, which are expected to attract even more gamers than Pokestops, and at a greater cost. Hospitals, health experts, public health officials and marketers all argue about the dangers and merits of augmented reality, this new digital phenomenon. One thing is certain: the game developers are ready to laugh all the way to the bank. The controversy is lost on the gamers obsessed with catching the next Squirtle, Jigglypuff, or Torterra. Fitness freaks laugh at the ridiculousness that Pokémon Go is considered exercise while health care workers rejoice with the hope that at least people are off the couch chasing the Pokémon. Poke’ Trainers have taken some extra steps to download trackers and get a bit more fit in their quest to search far and wide to catch every wild creature. 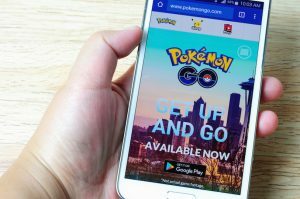 Although information is currently anecdotal, the stories say that Pokémon Go does cause previously sedentary people to walk more, which healthcare experts do consider to be an improvement. Because Pokémon Go is such a big news story, we’ve all heard stories about crime associated with it. In the heat of the summer, mobile gaming fans are playing late at night. This makes it harder for police to protect them. Distracted gamers are a target for pickpockets. And immersed gamers could accidentally walk into traffic or off a cliff. The game isn’t inherently unsafe, but individual gamers may be inherently careless. Learn how to use the new games to improve your health and daily life. Games can be great motivators, so join the minority that uses these games to be a positive influence in the lives of others. Let it show through your healthy life, body, and attitude. Mobile gaming can either help you evolve into the best of yourself or dissolve into nothingness depending on how you use it. Find the games, groups, and people online and more importantly in real life that will help support the healthy life you want to live in the real world. Be sure to eat well and drink plenty of water during your mobile gaming activities. Learn how to keep your energy and strength up as the games get harder and harder with each new level and challenge. This one thing will feed your health just as it will starve out disease and protect your wealth. Gamification may encourage healthy walking habits, but remember gaming your health by living in a virtual world will leave you vulnerable to the real world around you. While there may be 721 Pokémon there is only one you in a world of 7.4 billion people. The real creature you should be trying to catch, train, and evolve to its highest level is the one that looks back in the mirror at you every day. Whatever you do to be healthy – remember to always be improving, get up and out of your chair, eat only the best–do all three as needed. Do you think Pokémon Go will lead to improved health for its players? 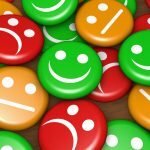 « Online Reviews – Business Builder or Brand Buster?